Dining room table with chairs. Package includes four chairs. 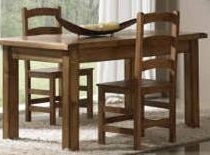 Dining room table with four chairs. Mexico Rustic Contemporary Package includes four chairs.